A brilliantly evocative memoir from the golden age of newspaper publishing, from a man who helped define our modern media. 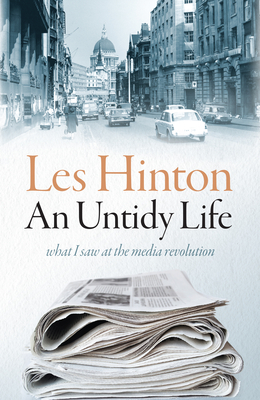 Les Hinton was 15 when he first worked for Rupert Murdoch, and Murdoch's "empire" was a single evening newspaper. In the next half century, he travelled the world on the wagon train of his boss's vast ambition, first as a correspondent, and then as one of his closest aides. As head of Murdoch companies in newspapers, magazines, and television -- including The Wall Street Journal, The Times of London, Fox Television Stations, the New York Post, and TV Guide -- Hinton has been present at and directed several key scenes in the media's revolutionary transformation. His career has spanned three continents: from Fleet Street to Wall Street; from the bucolic small town of Adelaide in Australia, where young Murdoch first dreamed of his media conquests, to the febrile world of Hollywood. Here Hinton depicts the demonic drive of his boss, and the upheavals that swept his trade, with the same widescreen perspective and sharp colors he deploys to show us how politicians such as Bill Clinton and Tony Blair dealt with the media. From phone calls from Princess Diana, to living next door to O. J. Simpson, Hinton provides a revelatory new angle on the people who make the news. And, in a book that comes to comprise one of the defining media memoirs of our age, we get the clearest portrait yet of Rupert Murdoch -- the man who followed giants such as Hearst, Pulitzer, and Henry Luce, to build a media superpower that overshadowed them all.